I was really honored and excited to do an exchange with Francesca Dare, who makes the truly wonderful Penny Blackfeather. Her art is as lovely as her characters are loveable. As it’s the Webcomic ARTIST Swap Project, the only thing exchanged is the art and not the writing, and you should know I’ve had this stupid idea in my head for… years. I can’t wait to see what you drew as well! Shark!Lorelei (Sharkolei? Lorark? Sharolei?) is adorable. 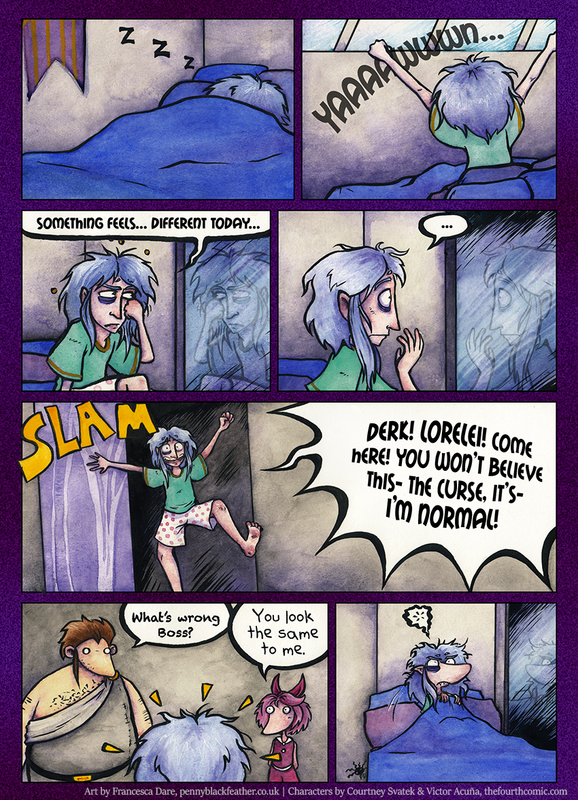 Ah man, I love how Derk and Lorelei look. It just doesn’t look right and it’s hilarious.